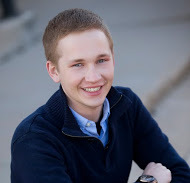 Growing up in a rural SE Nebraska community, Brent was always bothered by the lack of connectedness and opportunities in rural Nebraska. At age 12, Brent started a small company that provided what he found lacking in a small town: computer services, web site design, and advice on really anything technology-relate. Since then, Brent, who is now a Robertson Scholar at the University of North Carolina, has founded and been on the founding teams of many start-up companies throughout the United States. His own company has expanded at an uncontrollable rate. Brent’s TEDxLincoln talk will serve as both an introduction to the idea of reinventing rural communities and also the challenge for entrepreneurs and innovators to not overlook the rural communities for ventures like tech start-ups and social enterprises.